Sit comfortably any time you choose thanks to the Amir Arm Chair. This elegant armchair includes a soft, durable leatherette over foam seat, back and armrests for supreme comfort. 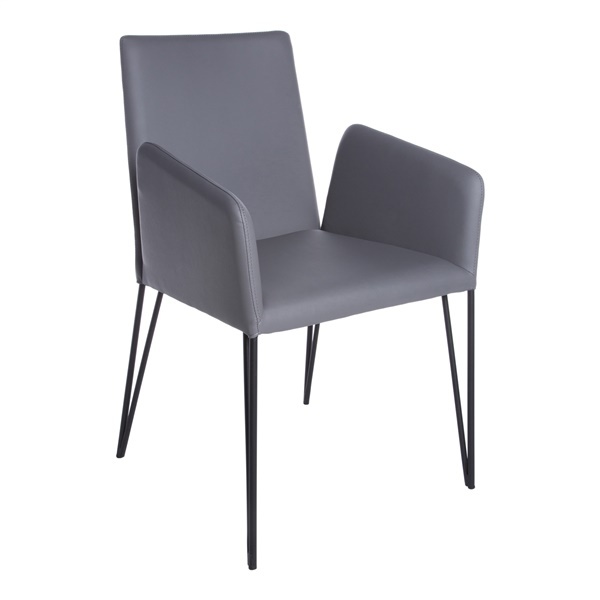 Moreover, the armchair offers matte black, powder-coated legs to further enhance its overall appearance. Don't be forced to choose between style and comfort when you pick up an armchair. Instead, select the Amir Arm Chair, and you can enjoy the perfect mix of fashion and function. Boasts soft, durable leatherette over foam seat, back and armrests for amazing comfort. Boasts matte black, powder-coated legs for ultimate stability. Features a sleek design, ensuring the armchair will look great in a modern or traditional setting.